God doesn’t make mistakes? He made me unable to believe he is good – sounds like a royal screw-up to me. The dude is a sick, twisted, masochistic, self-argrandizing, narcissist. If this is the best he could come up with – that alone is proof there is no reason to worship him. If we are created in his image – which I do believe, by the way – it says MUCH more about him than us. It is also every reason to destroy all of creation – and God – before the demented idiot can cause any more damage, pain, and suffering. What we got, he set in motion. He was the cause. I REFUSE to take responsibility for Gods screw-up. I hate feeling like this – yet the logic is sound. Can you convince me otherwise? I don’t know what you’ve faced in life that left you feeling like this, but I am truly and completely sorry that you can’t see the truth in these words. The God you described is not the God of the Bible. Not the God who lovingly breathed this world into being. We are created in His image. We are glorious beings. But we’re also fallen beings. We create our own misery by straying from God’s perfect plan. But like I said in the above post, I could argue with you all day, but until you are willing to embrace these words as truth, you cannot be convinced otherwise. And I don’t think you need an argument; I think you need to be loved as God commanded us to love one another. And I’m sorry that someone failed you on that charge. I’m sorry for the circumstance that birthed such bitterness in you. 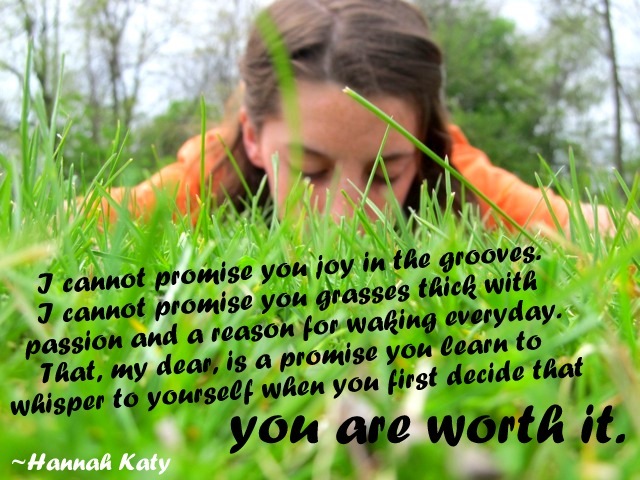 And I pray that you’ll find that you are worth it and, more importantly, that God is worth it. Life doesn’t come without pain, but there is Someone who will carry us through it if only we will allow Him to hold us.